A wonderful hand crafted period pendant light, with a polished nickel plated solid brass ceiling mount and braided silk flex. A large upper gallery and small station lamp brimmed shade, supplied complete with a period style Tesla globe lamp bulb as shown. This particular model looks fantastic in the kitchen positioned over the breakfast area, either singly or installed in a row. Height adjustable at the time of installation by shortening the flex. 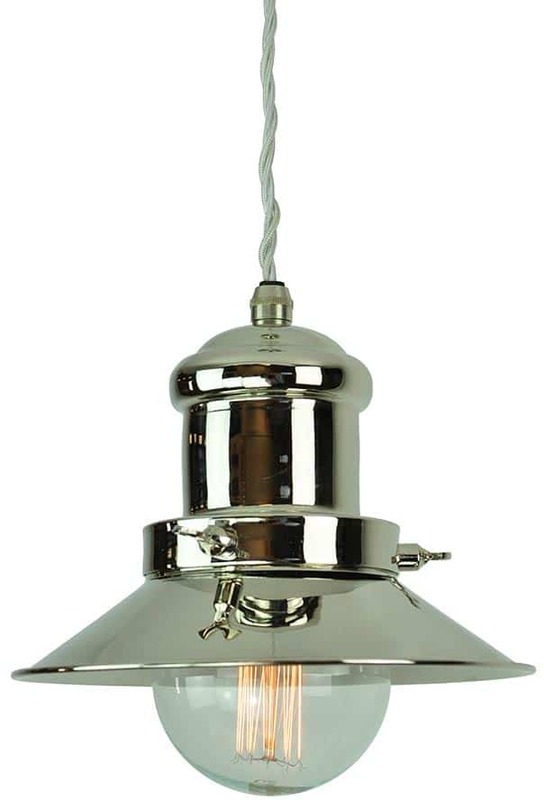 From our vintage period lighting selection, a replica period light pendant, hand-made in the UK and finished to order.